How can I create my cancellation policy? 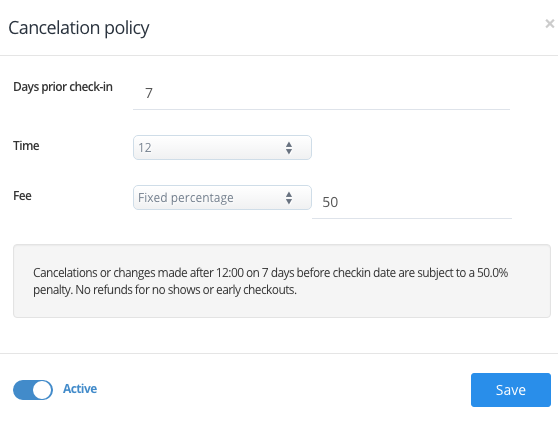 Please click the My Property / More / Rules / Cancellation Policy section from the upper menu of HotelRunner panel. Please specify the date and time when cancellation option becomes due, type in your deduction type and rate and check the x mark at the bottom on, then click Save to activate the cancellation rule.